From search to completion, we’ll help you every step of the way! When looking for a property, the first thing you need to do as a buyer, is to decide on what criteria you want to meet. This could be anything from a large garden, number of bedrooms/ bathrooms, garage, new build, etc, in order to narrow down your search. Of course, you need to make sure that all of this is within your budget. 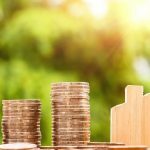 As you need to consider how much you can afford on your monthly mortgage payments, along with fees and expenses such as the deposit and Stamp Duty. Once you’ve found a property you like, book a viewing through the estate agent and give them your details. You’ll be able to get a much better feel for the place and whether you can see yourself living there once you’ve attended the property. Many online estate agents now make it easy to book appointments as this can all be arranged through their website. You can carry this out with Seven Keys through our online portal or by giving us a call. Perfect! You’ve found a property you love. It’s at this point you can make an offer and begin negotiations with the seller. You can make whatever offer you wish, just make sure to give the estate agent your details, along with information on your mortgage and any details regarding the property you currently own. For example, whether you’re in a chain, no chain, new buyer etc. It’s essential that you know exactly how much you can borrow and what you can afford. There are different ways you can organise a mortgage, one of which being a visit to your local bank where they will go through your finances with you. However, this will limit you to the mortgage offers that only your particular bank can offer. Here at Seven Keys we can put you in touch with qualified mortgage advisers who can sit down with you and find the best deal to suit your situation. The solicitor/ conveyancer will handle all the legal work regarding your property. This can be both for the buying of a property and the selling of your current property. 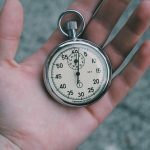 Ideally, you would already have a solicitor/ conveyancer ready to proceed so the process of transferring property deeds can be carried out as quick as possible. Your solicitor/ conveyancer will also tell you exactly how much you will be paying for fees, along with submitting searches to the local council to check whether there are any local issues or planning issues that may affect the value of the property. These searches typically cost around £250-£300. Your mortgage lender will require a survey to be carried out in order to ensure the property is worth the price you’re paying. This will usually be arranged for by the mortgage lender. This type of survey will be a very basic survey purely to satisfy the lender. If you require an extensive survey to go into more detail then you can upgrade the survey or you can commission your own. This extended particular survey should alert you to any potential problems with the property. Your conveyancer will approve a draft contract once they have received the local searches and all outstanding enquiries have been dealt with. A formal mortgage offer from the lender will be issued, which will be required to be signed by you. 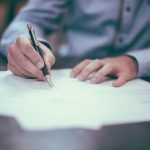 From this point contracts can be exchanged and signed, however, you should read through the contract first and make sure you are happy with what the seller is leaving behind. Once you have exchanged contracts, you and the seller are legally committed to the buying and selling of the property. A deposit may be paid at this point, normally around 5-10% of the purchase price and you will need to take out buildings insurance as you are now the legal owner of the property. Congratulations. You’ve just purchased your new home. Completion can take place straight away, however, it is usually between one and four weeks after you exchange contracts so that the solicitors can organise a date and transfer money. Once this has all gone through you can collect the keys and begin your journey in your new home. It’s time to celebrate!! Seven Keys Ltd does not offer mortgage advice and/or conveyancing/solicitor services. We do, however, work alongside mortgage advisers and/or conveyancing/solicitor services. Therefore, we may receive a fee from such services should you choose to use them, introduced to you by us.